Plot: Based on the novel of the same name by Andre Aciman, Call Me By Your Name explores the pain and heartache of young love. Set during the summer of 1983, seventeen year old Elio Perlman (Timothee Chalamet) lives with his parents in the Italian countryside. That summer his archaeologist father, played by Michael Stulbarg, invites graduate student Oliver (Armie Hammer) to live with them and work on Mr. Perlman’s academic paperwork. Before long Elio begins to develop feelings for Oliver and as their relationship develops, Elio experiences a new and profoundly deep love. Review: I like to think that I’m not an elitist snob when it comes to European/foreign films. I appreciate great art and filmmaking wherever it can be found. Some of the great directors in history and ones I greatly admire like (Fellini, Herzog, Verhoeven, Argento) all hail from Europe. However, I am an American and for the most part I like American films. Despite that, I went into Call Me By Your Name with an open mind, already knowing that it was one of the best reviewed films of 2017. Pretentious, dry, with characters that failed to move me in any way, Call Me By Your Name ultimately comes off as a bland and boring film that is not worthy of the praise it’s getting. This movie fails on every level: plot, character development, acting, cinematography, and direction. I don’t think it can be overstated how much I hate this movie. This film was so bad that I had to watch it in 20 minute increments over a period of several days. Oh great another shirtless scene. Haven’t seen that 6,000 times already. 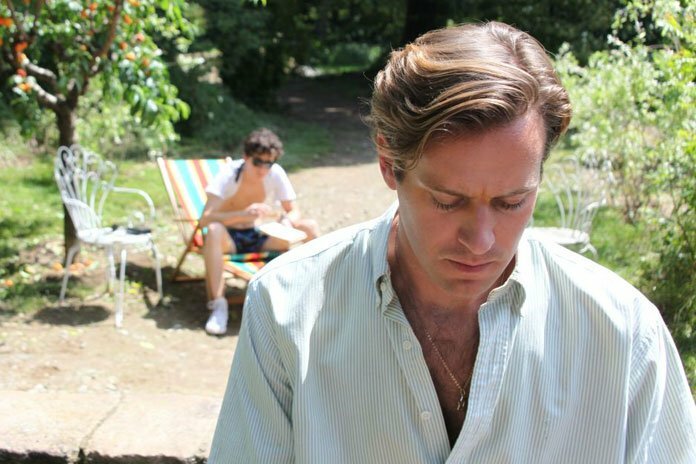 My biggest gripe with Call Me By Your Name stems from the characters. Neither Timothee Chalamet or Armie Hammer evoke any real empathy or pathos. I wasn’t interested in their love story because I didn’t care about them as characters. Elio comes off as a spoiled, whiny teenager who’s consistently moody and uninteresting, content with shopping or stringing along his would-be girlfriend Mariza (Esther Garrel). (And yes I know that describes a lot of teenagers in general.) Despite possessing a keen intellect and a talent for the piano, there’s nothing particularly appealing about his character. Additionally, I don’t understand how Chalamet’s performance is getting so much adulation. It’s mediocre at best. Armie Hammer comes off like a rich entitled frat boy and I definitely got a Winkelvoss feel from The Social Network from his performance. The only person who provides a good performance is Michael Stulbarg. His scenes were a glass of clear water amidst this desert of a film. As for the plot; good Lord. 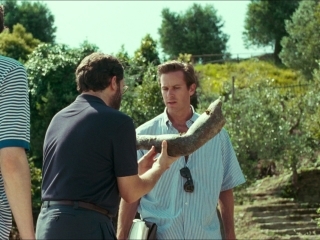 Call Me By Your Name contains so many useless and repetitive scenes it’s like they were filling time. Boring doesn’t begin to cover it. How many scenes can you have with people riding bikes, not wearing shirts, swimming at a pond, and talking about nothing even remotely interesting? There is actually a shot that lingers on a window shutter that lasts for a good ten seconds. A. WINDOW. SHUTTER. And the symbolism! Director Luca Guadagnino couldn’t have laid it on any thicker if you he used peanut butter. We get that the repetitive use of fruit* symbolizes the forbidden fruit of homosexual love. We get that the statue Elio’s father draws from the ocean represents Elio’s latent homosexual feelings for Oliver emerging. WE GET IT! When it comes to alternative romantic stories, films like Brokeback Mountain and 2017’s The Shape of Water succeed in everything that Call Me By Your Name attempts but fails to accomplish. There’s no subtlety at all and to me that’s bad direction and bad storytelling. Sayombhu Mukdeeprom’s cinematography never dazzles or enriches the film and never seems to capture any type of profound moment. However, if you think about it, it kind of makes sense because the film itself doesn’t have anything profound to say. Oscar nominations come out soon and because this movie is clearly Oscar bait, Mukdeeprom will probably get nominated. If he loses to Roger Deakins (who is also likely to get nominated) I will riot. Mukdeeprom’s cinematography does compliment Sufjan Stevens’ score which is equally tepid and bland. As much as I detested this film, there was one redeeming scene at the end between Chalamet and Stuhlbarg that did affect me. It’s a warm and heartfelt scene between father and son regarding the nature of love. It may be the one and only authentic moment in the entire movie and the bond was palpable and reminded me of the relationship I had with my Mom. Sadly, one powerful scene does not redeem an entire film. Ultimately, Call Me By Your Name has nothing remarkable or new to say and goes about it in the most uninteresting way possible. Unless you’re an Oscar completest like myself or are in desperate need of sleep, avoid this film at all costs. *I don’t think I’ll ever be able to eat a peach again after watching this film. Don’t ask.